This weeks friday faves are an eclectic bunch. I've been busy trying to organise myself for the upcoming weekend as I'm going to visit my mum for two whole weeks and help her move house! I'm excited to see the pets, but not so much all of that cleaning. Who else has boxes and boxes of their childhood toys stored away in the attic? hopefully not just me. Beauty wise I'm pretty smitten with my new Yuli Cocoon Elixir which I purchased as a little birthday treat for myself. 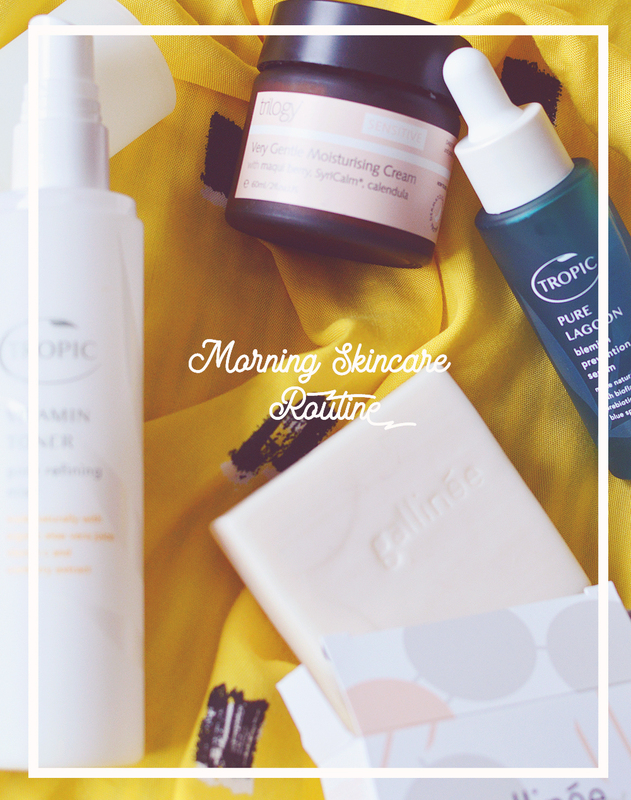 It's a gorgeous soothing toner, and we all know I'm a toner floozy. I was a little worried this was breaking me out as I've had a crazy flare up the past few days in just one area of my face but I'm crossing my fingers it's not this as it's so lovely! 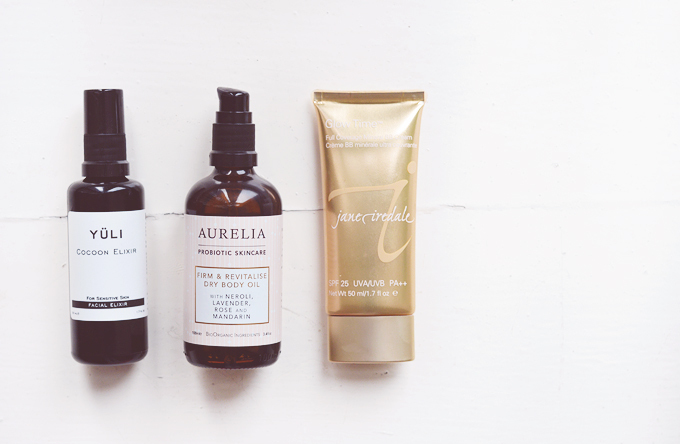 Another fave which I reviewed in full in my previous post is the Aurelia Firm & Revitalise Dry Body Oil*. The scent is growing on me day by day still and I just love the feel of this oil, it's keeping my skin in tip top condition. Lastly for beauty is the Jane Iredale Glow Time BB Cream*. I am utterly obsessed with Jane Iredale, I see them as a very classic brand and their recent packaging update means they look the part in my makeup bag. So fancy. This BB cream is crazy good. I have BB5, which is a pale yellow toned shade, I thought BB1 or 3 would be better but they're SO pale they'd make me look dead, this is the perfect match. The coverage is excellent, it's more like a foundation with a flawless satin finish. I'm in love. 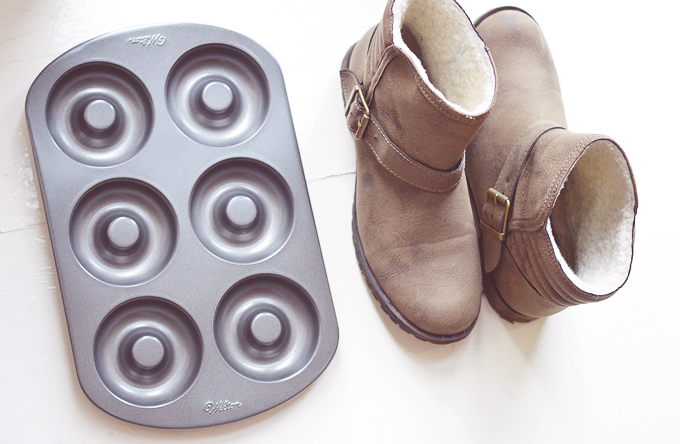 Next up is a doughnut pan!! how random. I literally got this yesterday and haven't even used it yet but I'm so excited to bake some doughnuts (or donut?) later on, it's already a favourite. I will tweet my first attempt, so beware hahaha. I doubt they'll be pinterest worthy just jet! I have bookmarked so many baked doughnut recipes that I'm going to have them coming out of my ears ;) not that that's a bad thing... right? Last up are my new boots! I needed a pair of flat, cosy boots that didn't leak desperately and picked up this pair in Primark for a measly £12. They feel really sturdy and for £12 I won't complain when they've fallen apart in march after wearing them relentlessly all winter. I love YÜLI and am interested in trying your two other beauty favorites. Also, excited to try your do(ugh)but creation! Have you ever heard of a fonut?